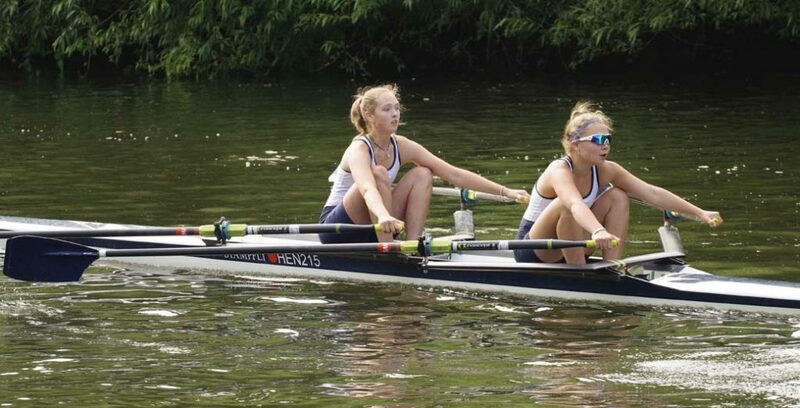 The two extremes of Henley Rowing Club’s squads competed at Weybridge Ladies Regatta Sunday 10th June, from the youngest under 13 years old through to the women’s masters crew at age category “E”. The regatta is a traditional Thames Regatta, two boats side by side and a free start ( no stake boats) and makes a nice change from multi-lane courses for the crews. Whilst traditionally a ladies only regatta ( run by one of the few remaining ladies only clubs) the regatta does now admit younger boys crews. 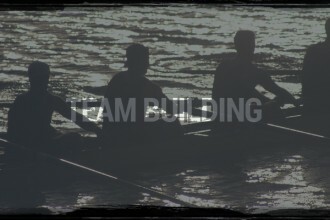 The club was the most successful at the regatta coming away with 12 wins with success at every age group. the boys double of Ollie Roullier and Connor Oshea James had a tough race in the semi final against a crew from Guildford rowing club holding a half length distance behind the opposition for the whole course but were unfortunately not able to make up the gap. The two girls doubles also lost in semi finals , with the A crew of Lucy Jones and Hannah Boddy having a tough race against a solid crew from Reading. The Girls A quad with Lilly Hoogenberg, Gabby Chaplin, Sophie Graham ,stroke Ailish Harkin and cox Francesca Whittle went on to win the division convincingly against a crew from Guildford rowing club. with a very large entry the double sculls and the quads where split across three division with Henley having a double in all three division and a quad in two divisions. The doubles of Natalie Schoenmakers, Josie Sawbridge, Charlotte Beadmore and Ella McKay all came away with medals, with the third just missing out in the final to a strong Reading crew. 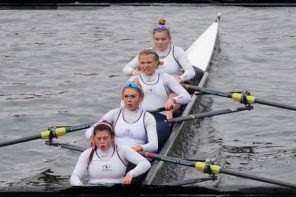 Natalie and Charlotte then joined Laoise O’Donohue, Molly Collings and cox Daisy Rolstone in their quad, to race three more times and win more medals. Josie and Ella teamed up with Mia Roullier, Posy Gummer and cox Katy Pickup to do the same in the other division. In total, the squad ended the day winning fourteen medals. Zachary Charles and Jamie Mclellan won their first round and semi final easily and in the final their opposition was disqualified due to steering issues. The other J14 boys competing in singles raced well and gained valuable experience for the next regatta. The J15 girls came away unbeaten. Della Luke making hard work of her WJ15 singles event coming from behind in each race but eventually winning the final against Burway. Holly Cookson competing at J16 though made easy work of her races winning all comfortably. Holly Nave and Gina Segrt competed in WJ15 doubles beating Wimbledon High School first round , Walbrook RC in the semi and Etonian Excelsior in the final. 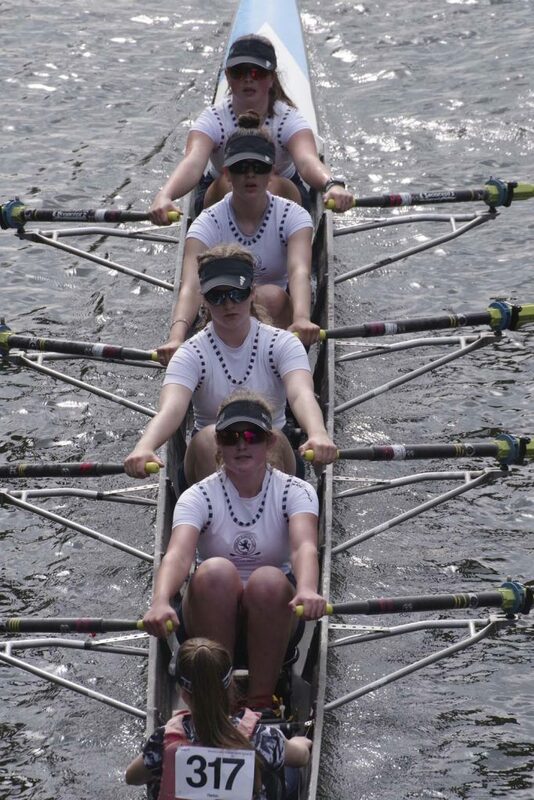 The WJ15 quad of Riley Butcher, Annabelle Hoogenberg, Poppy Wilson, Ava Reineke and cox Chloe Beeton had a bye to the semi final where they beat Molesey by a length to progress to the final where they beat Sir William Perkins School by one and a quarter lengths. The WJ15 eight had no opposition so competed in the women’s open 8s event where they had a straight final against the ladies from Staines Boat Club, the Henley crew of Poppy Wilson, Emilia Fulford Dobson, Holly Thompson, Darcey Smith, Della Luke, Izzy Cotton, Georgie Pollard, Holly Cookson and cox Chloe Beeton put in a very impressive performance to win the event easily. 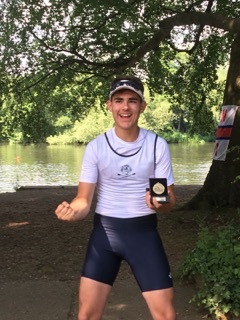 Cameron Seager competing in boys J15 single sculls had an easy first round win but had to dig deep in the final to come from a length down to beat a sculler from Walbrook by 2 1/2 lengths in the final. 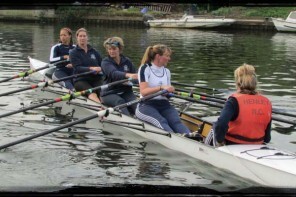 The Women’s Masters E crew Julia Lock, Margaret Hall, Helen Knowles and Janet Mehers, had a bye to the final where they met the winners of the earlier round a Masters F crew from Walbrook. 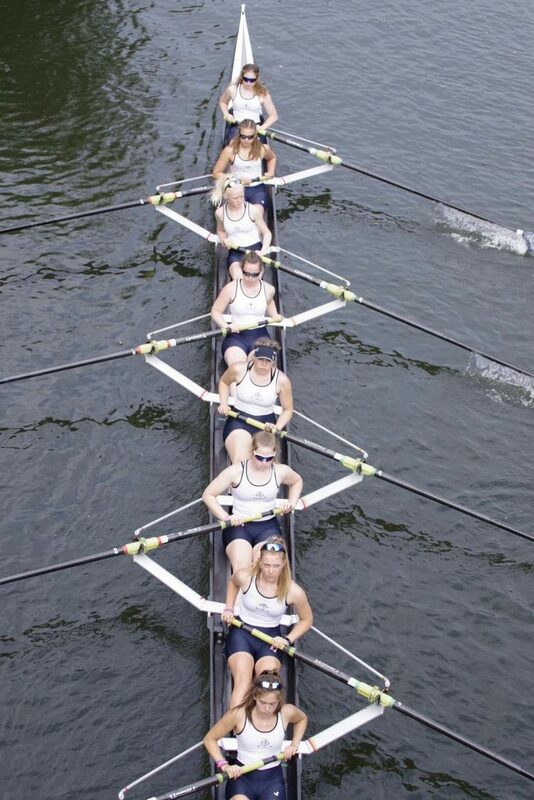 Due to the different age categories the Walbrook crew where given a 10 sec start advantage, but this did not deter the Henley crew who rowed through them and went on to win by a length. Next article14 Medals from 3 Regattas! Rowing is one of Britain’s most successful Olympic sports, and the only GB sport to have won gold at every Olympiad since 1984.